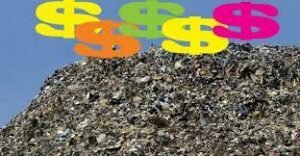 Facing a 35 million dollar debt at its Bristol, Virginia landfill, city council members are looking at several options to solve the financial problem, and it appears those options will involve some type of fee increase…most likely, trash collection fees. In fact, city council is considering raising trash collection fees by as much as fifty percent to 33 dollars a month. City Council members will vote on the matter next week.